« He who has health, has hope. 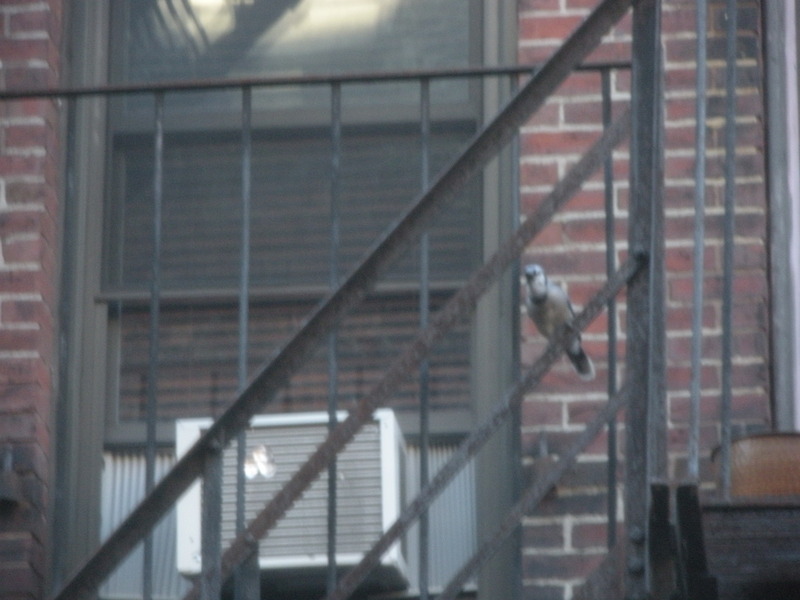 These blue jays were screeching and carrying on this afternoon chasing each other around the fire escapes in the alley. 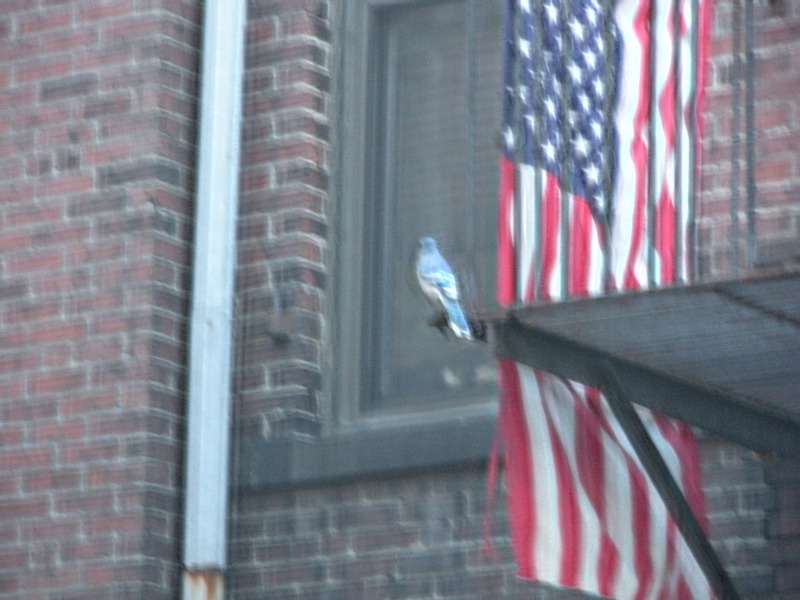 I didn’t have a chance to switch my camera to from macro mode, so these are not great shots but you can see them…who knows what the heck they were doing here but anyone who’s heard a blue jay screech, you can just imagine that sound reverberating between two brick buildings. Repeatedly. I believe these beautiful but mean birds have a screech that is second only to peacocks in its grating effect. Then, this evening, on the way home from drinks at RumBar with friends from the building, we came across a gull with a broken wing. It was the most frightening thing to see this poor bird, terrified, hurt and tripping on its own wing trying to get away from passersby and dogs being walked. I got a small box that we put it into, thinking it was safer to be secured away from dogs and others (you know how they cover birds’ cages at night?) but judging by the way it nipped my hand, it wasn’t too happy with the plan. Thanks to Dave for using his jacket to capture and transfer the bird. It was so upsetting to everyone. I haven’t heard yet what the resolution was. Had to go clean up my hand…but when I left the crew they were trying dial MSPCA and such. So sad. 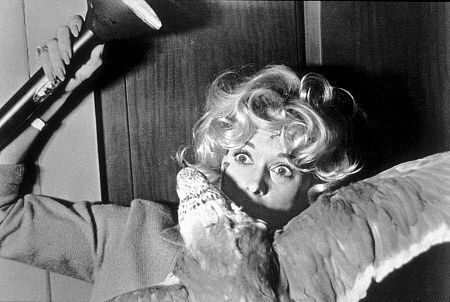 Hope these bird sightings were not an omen…Next stop, Bodega Bay? I cannot imagine. Perhaps he flew into one of the new plate glass windows in the furniture store? Lots of bright shiny things there. It really was horrible. No sweet dreams for me that night!